Ryan and I are going to get on our beach cruiser and ride down to the harbor in a few minutes for the YANKEE DOODLE DINGHY PARADE :) Hopefully we will have pictures to share! This is a super cute parade! Nothing fancy – but our kids really enjoyed it last year. 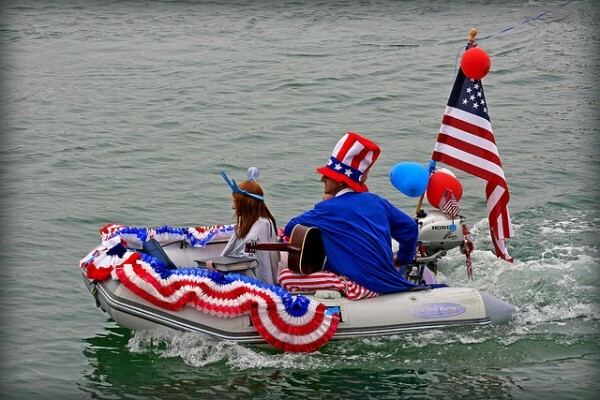 Lots of folks dress up their little dingys and parade them around the harbor and some folks get really creative!